I'm a freelance writer living in Perth, Western Australia. 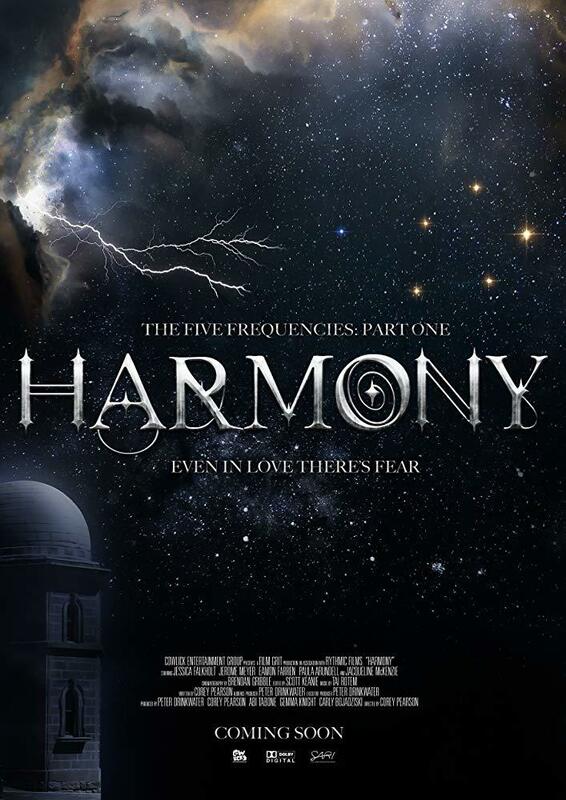 Harmony is the first film in the new Australian fantasy thriller franchise Five Frequencies, which re-imagines the superhero genre, giving it a much-needed breath of fresh air. This isn't a movie about crime-busting action heroes but instead introduces us to a new kind of hero, living in a melancholy world where the emotions of fear and love are the most prominent of all. Wonderfully written and directed by Corey Pearson (Message Man), the film stars the late Jessica Falkholt (Home & Away and Mystery Road), who tragically passed away in January of 2018, along with her parents and younger sister after a horrible car crash, all of who the film is dedicated to. Jessica played the title character Harmony, a beautiful, reclused and homeless young woman, with a gothic fashion sense, who has the amazing ability to absorb the fears from anyone who she comes into physical contact with. Unfortunately, her selfless acts of kindness come with great consequences to herself, as the fears she absorbs manifest within her body and creates a horrific black liquid, causing her great pain and suffering. If she absorbs too much fear, it will kill her. Harmony lives her life on the streets, slipping through the shadows and helping everyone she can. Her only home is in an abandoned building and she spends the rest of her time volunteering at a cat haven run by her friend Molly, played by Cheryl Craig (Nim's Island and Man-Thing). After saving a woman named Beth Miller, played by Jacqueline McKenzie (1999's Deep Blue Sea and 1992's Romper Stomper) from committing suicide, the two form a bond and Harmony is soon introduced to Beth's son Mason, played by Jerome Meyer (Home & Away and Secrets & Lies). Jerome is a socially awkward, funny, cute, attractive, rich, generous, caring man and when their hands touch for the first time, Harmony instantly knows that there is something special about him, as she feels no pain when they come into contact with one another and needless to say, it's love at first sight. 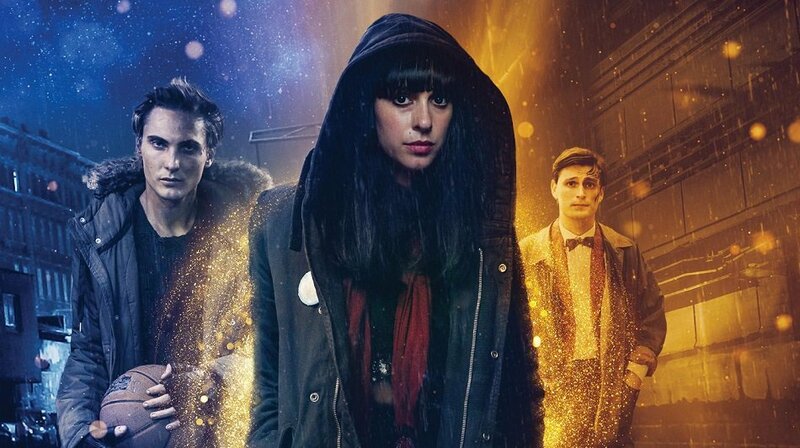 But not everything in Harmony's world is all that harmonious, as she is tormented by a group of street thugs, whose evil ringleader Jimmy, played by Eamon Farren (2017's Twin Peaks and Red Dog) becomes obsessed with her. Jimmy desires to tap into her power to create chaos and destruction throughout the world. This is a stunning film, which really needs to be seen, boasting beautiful cinematography, well-written characters and a beautifully dark storyline filled with intrigue, which really makes you give a damn about what happens to the characters. 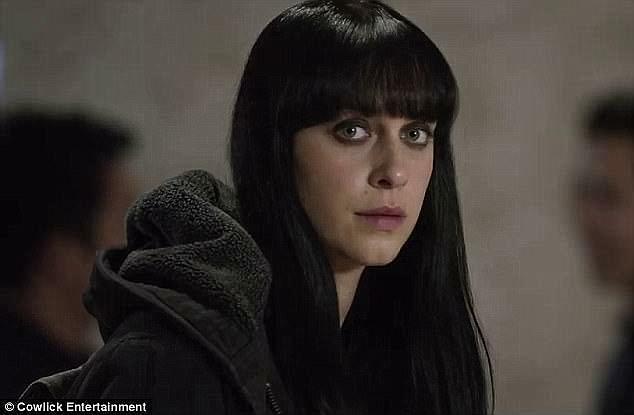 This movie is Jessica Falkholt's legacy to the world and it has truly cemented her as one of Australia's greatest young actresses. Jessica absolutely nailed the look, personality and emotions of her character in every way. I don't know what is planned for the sequels and I truly hope they will continue to be made, as I am absolutely salivating to find out what happens next in this brilliant new saga, but if they re-cast the role of Harmony, I honestly do not know who else would even come close to being as perfect to play her as the late, great Jessica Falkholt. May she rest in peace. Harmony: The Five Frequencies Saga Part 1 is rated M for a mature audience as it contains mature themes. Why? Harmony is an incredible Australian superhero film!